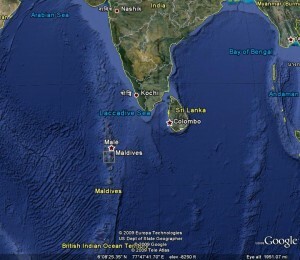 The Maldives, an island nation in the Indian Ocean just 1.5 meters above a rising sea level, teeter perilously on the brink of extinction due to global warming. Climate change threatens to wipe out the Maldives’ rich civilization in less than a decade at current levels of greenhouse gas emissions. The Island President, a skillfully crafted documentary by director Jon Shenk, tells the inspiring story of Mohamed Nasheed, President of the Maldives, and the life-or-death environmental struggle of his island nation. Mr. Shenk’s film about the Maldives offers a fascinating, intimate window into President Nasheed’s life as a passionate activist and adept politician. After 20 years of repressive dictatorship under President Maumoon Abdul Gayoom, Mr. Nasheed wins a perilous electoral fight and gives the Maldives hope of overcoming the environmental predicament that had long gone ignored. Viewers are treated to a private front-row seat on the journey of President Nasheed and his cabinet to persuade the member states of the United Nations (UN) to adopt climate change legislation that could help save the Maldives from becoming a lost nation of environmental refugees. Along the way, we can’t help but admire President Nasheed’s considerable moxy and skillful maneuvering as he confronts the likes of the U.K. and the increasingly influential BRIC countries of India and China in his battle to win support for a regulatory framework that could forestall the rapid pace of global warming. 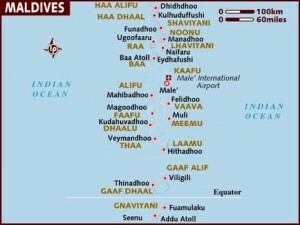 The Republic of the Maldives is a nation of well over 1,000 islands spread over 35,000 square miles in the Indian Ocean, roughly 430 miles southwest of Sri Lanka and 250 miles southwest of India. 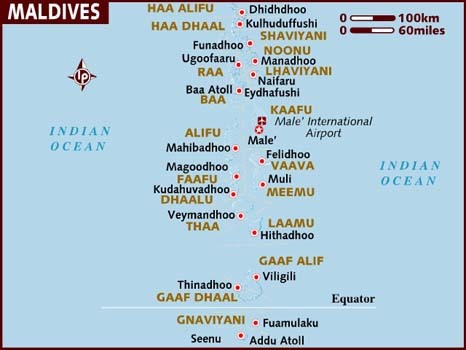 The Maldives archipelago encompasses a bountiful aquatic ecosystem of 26 atolls, or rings of coral islands encircling lagoons, which are situated atop a vast submarine mountain range known as the Chagos-Maldives-Laccadive Ridge. 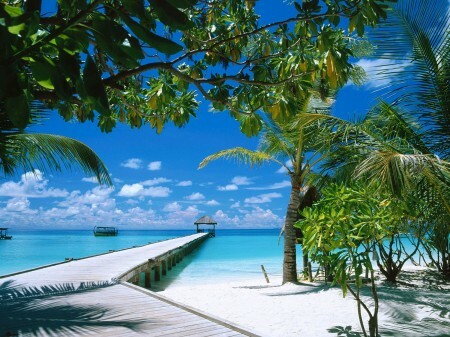 At just 1.5 meters or about five feet above sea level on average, the Maldives is one of the lowest lying countries on earth as well as one of the smallest countries in Asia in terms of both population and land area. President Nasheed seems fond of pointing out the Maldives and the island of Manhattan in New York City are located on the same sea plane. To well-heeled vacationers and casual observers, President Nasheed warmly describes the Maldives as a “cross between paradise and paradise.” The stunning cinematography of The Island President does justice to this glowing depiction. Viewers are treated to expansive, glorious images of lush island scapes floating atop brilliant blue and emerald green waters. It’s easy to believe President Nasheed’s claim that, no matter how long one lives in the Maldives, they can’t help but be impressed by the islands’ abundant natural treasures. Despite the Maldives’ arresting beauty, clear markers of environmental trouble dot the picturesque paradise. Mr. Shenk accompanies President Nasheed and his cabinet members on several trips to examine the erosion that eats away at the islands day by day. In one spot, locals point to 300 feet of missing shoreline recently lost to the rising ocean waters. The striking beauty of the Maldives makes for a stunningly stark contrast with much of the islands’ recent political history. For three decades from 1978, former Maldivian ambassador to the UN, Maumoon Abdul Gayoom, presided over a dictatorship that became increasingly oppressive and disinterested in the welfare of its people. Government policies apparently centered around lining the pockets of Gayoom and his cronies at the expense of improving the well-being of local Maldivians. During a cabinet meeting soon after his election, President Nasheed promptly calls for tracing the infrastructure projects doled out by Gayoom that paid for the multitude of yachts owned by government contractors that line the Maldives’ harbors. 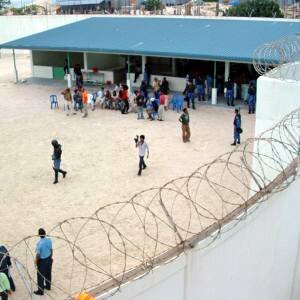 Early on, the film pans away from scenic tropical views to reveal an area of white-washed walls topped by coiled barbed wire. Nearby, a beautiful island sunset forms the backdrop for a shoddy shed of corrugated metal measuring roughly five feet by three feet. Looking barely suitable for storage, we soon learn that Mohamed Nasheed somehow endured 18 months alone here in solitary confinement not long before transforming into The Island President. President Nasheed movingly describes the experience of being imprisoned 12 times and tortured twice at the hands of Gayoom’s men. Disturbing footage of the badly beaten and bruised body of a recent victim of the Gayoom regime being carried on a stretcher sets in motion a fateful turn of events. The Maldives’ normally peaceful citizens become enraged and take to the streets to protest and riot against the oppressive, brutal tactics of the Gayoom regime. On camera, President Nasheed and his cabinet members identify the beating death of their countryman as the key turning point in the Maldives’ transition to democracy. Seizing the rarest of opportunities, Mohamed Nasheed and his supporters put all their effort into challenging President Gayoom’s hold on power. 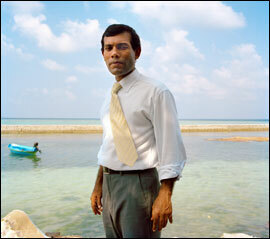 By the time election day arrives, Nasheed reportedly managed to personally call on all 52,000 of the Maldives’ households. Mohamed Aslam, the Maldives’ Environment Minister, says he knew at the time that Nasheed would either end up dead or President of the Maldives. Mr. Shenk catches a priceless moment on the campaign trail when Mr. Nasheed is confronted by a reporter who suggests some people contended President Gayoom just needed another five years to put democratic reforms in place. Understandly, Mr. Nasheed couldn’t help but engagingly smile and chuckle at the ludicrously generous characterization of a dictator in his sixth consecutive term of office. Scheduled to take place just over a year from President Nasheed entering office in November, 2008, the COP15 UN Climate Change Conference in Copenhagen, Denmark quickly became the focal point for President Nasheed’s new government’s efforts to convince the world to take action that would mitigate global warming and save the Maldives. In the lead up to COP15, Mr. Shenk and his cameras accompany President Nasheed and his cabinet on an international campaign of activism and engagement as they aggressively advocate for emission targets that would keep climate change and sea levels in check. Along the way, the audience is treated to a captivating portrayal of the science and politics behind the making of global climate change policy. During a visit to consult a leading climate change scientist in the U.K., President Nasheed and his team learn of the key figures that become the basis for their negotiating position and a forceful rallying cry in the days before COP15. Referencing recent research findings, the scientist points to 350 parts per million as the magic number or safe upper limit for the level of carbon dioxide in the earth’s atmosphere that would keep global warming manageably in check. 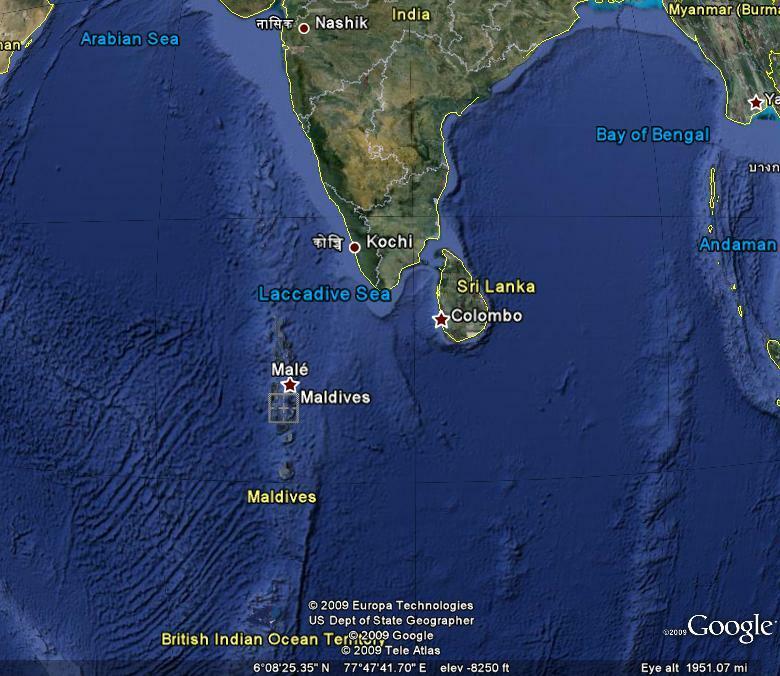 A carbon dioxide level of 350 parts per million aligns with a maximum temperature increase of 1.5 degrees Celsius, which together would keep the Maldives from being swallowed up by the Indian Ocean. Through Mr. Shenk’s insightful lens, President Nasheed is impressive as a shrewd, calculating activist who understands how to make the most of the Maldives’ dire environmental predicament and David vs. Goliath role in international climate change negotiations. In London, he advises a British Member of Parliament (MP) that opposing the Maldives would put the U.K. in the undesirable position of appearing to bully a small island nation. While seated across the table from India’s Minister of Environment and Forests, he challenges the Indian government’s position that the burden of combating global warming lies principally with advanced western nations, most notably the U.S., and should not impinge on India’s economic development. Yet, he also recognizes that securing some form of assistance for the Maldives from the likes of India and China may prove to be a more effective strategy than suggesting they make sacrifices that could undermine their economic progress. In a priceless PR coup, President Nasheed proves no less adept at educating and influencing international public opinion on the Maldives’ environmental plight. He manages to attract media attention from around the world by holding an underwater cabinet meeting in full scuba gear. A Youtube video shows the President and his cabinet communicating with hand signals while seated at tables several feet below the surface of the Maldives’ crystal clear blue waters. During a break in the proceedings at COP15, President Nasheed marvels at the lack of media attention paid to the Chinese government’s prominent role in opposing an agreement due to the integral role that fossil fuels play in China’s economic development. As the conference progresses, we watch as President Nasheed changes tact from idealistic activist to pragmatic politician. To avoid completely spoiling the drama, suffice it to say that, with the conference in danger of unraveling at the eleventh hour, he does what it takes to avoid walking away from COP15 empty-handed. Regardless of the somewhat controversial adjustment, President Nasheed and the tiny island nation of the Maldives manage to have a remarkable influence on the environmental stance of much larger nations and the ultimate outcome of COP15. 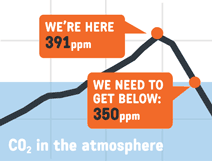 As this article goes to cyber press, the current level of carbon dioxide in the earth’s atmosphere hovers around 391 parts per million, well above the safe target level of 350 parts per million. With well-deserved national distribution, we hope The Island President will greatly contribute to inspiring international action that can mitigate climate change and protect the people, cultures and ecosystems in peril from global warming.